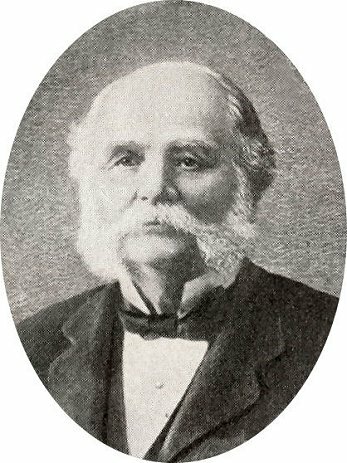 Daniel Chapman Stillson was born in Durham, New Hampshire, on March 25, 1830, and was the son of William and Nancy (Chapman) Stillson. His grandfather, William, was a captain in the army during the Revolution. As a young man, Stillson was employed in the cotton factories of New Market and Exeter, New Hampshire. On April 18, 1855, he married Eleanor Raynes Davis of Durham, New Hampshire. He learned the trade of machinist, and by 1860, he had moved to Charlestown, Massachusetts, where he was employed at the Charlestown Navy Yard. While working at the Navy Yard, Stillson was offered a position with the Navy. On January 20, 1862, he was appointed Acting 3rd Assistant Engineer and assigned to the steamer R.B. Forbes. He served on the Forbes until it was wrecked in a gale off the coast of North Carolina on February 25, 1862. The crew was saved and Stillson was transferred to the steam frigate U.S.S. Roanoke, which was present at the battle of Hampton Roads on March 8, 1862. Stillson was an eye-witness to the battle between the Monitor and the Merrimack. Later, he served on the U.S.S. Somerset which patrolled the Cuban coast, and was present at the capture of Cedar Keys. Due to ill health, Stillson resigned his position on August 31, 1862. After a period of recuperation, he was re-appointed to the Navy as an assistant engineer aboard the U.S.S. Queen. During his service, the Queen was present at attacks on Fort Wagner and Fort Sumter. On November 16, 1864, he was appointed acting first assistant engineer, and on January 25, 1865, he sailed with David Farragut on his first voyage as Vice-Admiral. At the close of the war, Stillson received an honorable discharge and soon returned to Charlestown. He resumed his trade of machinist at the J.J. Walworth Manufacturing Co. in Cambridgeport, Massachusetts, where he was a department foreman. By 1870, Stillson had moved his family to 55 Tennyson St., Somerville, Massachusetts. In addition to his duties at Walworth Company, Stillson found time to develop his ideas for inventions. His first patent, #50,748, granted on October 31, 1865, was for “pipe-tongs.” Stillson was co-inventor with his cousin, John C. Chapman, also a Walworth employee and a resident of Charlestown, Massachusetts. The pipe-tong was an early type of wrench “for turning gas-pipe, &c.” There is no evidence that the tool was ever manufactured. Chapman was later granted a patent for one of the earliest and most successful gate valves in the industry. On October 12, 1869, Patent #95,744 for “Improvement in Wrench” was granted to Stillson for the modern pipe wrench which remains little changed from his original design. Col. Levi R. Greene, who served his apprenticeship in the Corliss Engine Works before the Civil War, and who was an engineer on a naval vessel during the Rebellion, had, as a fireman on the craft, a young man named Daniel Stillson, who appeared to possess unusual mechanical ability. In 1865, Colonel Greene entered the employ of the Walworth concern, and much to his surprise, Stillson appeared one day seeking a job, and was hired as a mechanic at the Cambridgeport plant. In 1869, he came to the office with the pattern of a new type of pipe wrench, which he had whittled out of wood. Greene was interested and authorized Stillson to have a wrench made of steel, after his model. When next he appeared Colonel Greene and C.C. Walworth examined the wrench and finally Stillson was directed to the pipe room, in the Devonshire Street shop, and was told to try the device on a section of 1 1/4 inch pipe. "I want you to put strength enough on that wrench," said Colonel Greene, "to twist off the pipe or break the wrench. I don't care which." Colonel Greene in telling the story years afterwards, said: "Dan looked at me with some strong language in his eyes. He was competent in use language, chiefly profane, and he exercised this accomplishment on frequent occasions." C.C. Walworth chuckled as Dan turned on his heel and walked out of the office. Half an hour later, he came back with a piece of the pipe which had been twisted off. His wrench was intact. C.C. then became really interested and told Dan "to go back to the factory and have the foreman make up two dozen wrenches." continued Colonel Greene. "He and I agreed upon suggestions as to the length of the handles for different sizes and Dan went away. He came back with the finished wrenches a few days later and was advised to go to the Patent Office and get a patent for his invention. "It is as much as I can do to get my dinner, to say nothing about going to the Patent Office," said Dan. C.C. Walworth, however, thought so well of the wrench that he authorized Stillson to draw upon the office for the necessary expense money and directed him to a patent lawyer, who had served the company. In the course of time, Stillson came back with his letters patent and asked Colonel Greene's advice as to how he should proceed. Stillson's first thought was to sell the patents to J.J. Walworth & co. his need of money was so great that he believed $2,500 was worth more to him at that time than possible royalties in the future. Both Colonel Greene and C.C. Walworth advised Stillson against selling his patent and even when the inventor fixed $1,500 as his price for the patent right, they urged him to adopt another course. Stillson finally took their advice and agreed to grant the exclusive manufacturing rights to J.J. Walworth & Co. In return he asked for a royalty percentage which, according to Colonel Greene, made the sale of the wrench absolutely prohibitive in price. However, he was adamant and the company accepted his proposition and entered into an agreement to manufacture and sell the wrench at the figure named. The trade was thoroughly informed of the possibilities of the new invention, but the wrench did not sell because the price was too high. After months of waiting, Daniel Stillson was persuaded to accept a royalty which permitted the manufacture and sale of the wrench at a more reasonable figure, and thereafter the Stillson Wrench was a marketable product, and became one of the world's best known inventions. Royalties began to flow in until, in the later years of life, Stillson was enabled to retire and live on the earnings of his invention. Years later, Colonel Greene met Stillson leaving the office of the Walworth Company. In his hand the inventor carried some papers and a check, and he told Greene that the draft was for the last money he would receive for his wrench, as the patent had expired. "How much has that little wooden model you brought into the office paid you?" Asked Colonel Greene. Stillson went through some rapid mental calculations and replied: "Counting this check, I have received a little more than $67,000 from the Walworth Manufacturing Company in royalties." From other sources it is learned that he actually collected altogether, between $80,000 and $100,000, for this child of his brain. Stillson continued to work on various inventions including a plumbing trap, improved faucets, a machine for rounding the edges of pipe, and numerous fire extinguishers and sprinkler heads. He was granted at least 20 patents between in 1865 and 1896, but none achieved the success of Stillson’s adjustable wrench. “Dan's own Stillson is in the possession of the Walworth Company. It was one of the first of these wrenches produced. On the death of Mr. Stillson the wrench was left to his daughter, Mrs. Oliver B. Winn. She gave it to the company. It shows hard usage but is still in excellent condition. 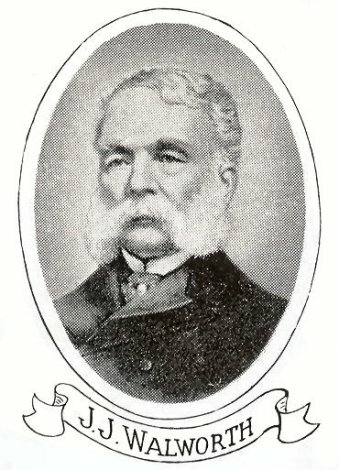 Stillson served the City of Somerville in the Common Council in 1884 and was also on the Board of Aldermen in 1885-1886. He was also a member of the board of overseers of the poor, and a member of the building committee for the new public library in 1884. The 1884 plaque listing his name among the committee members may be seen at the bottom of the second floor stairs of the present Somerville Public Library. Like most prominent citizens of his time, he was active in many fraternal orders including the Willard C. Kingsley Post, 139, G.A.R. ; the Winter Hill Club; the Granite Lodge, F.A.M. of Salmon Falls, N.H.; Shekinah Royal Arch Chapter of Chelsea, Mass. ; a charter member of Orient Councill; Coeur de Leon Commandery Knight Templars; and a member of Ivanhoe Lodge, K.P., Charlestown. Stillson had earned sufficient funds from his labors and his royalties that he was able to enjoy a comfortable retirement. He continued to live in Somerville, but also had a Cape Cod summer home in Cataumet, Massachusetts. He died on August 21, 1899 at his home at 55 Tennyson St., Somerville, after returning from his summer home in Cataumet. He is buried in the Stillson family plot, Lot 5828, Viburnum Ave., Mount Auburn Cemetery, Cambridge, Mass., which is near the burial place and memorial of Mary Baker Eddy.